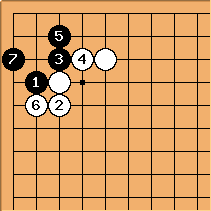 The L+2 group is an L group with a leg on both sides. Follow up (1) after W's attack. Follow up (2) after W's attack. The L+2 group is alive. 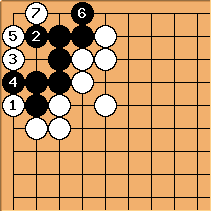 The corner territory can be reasonably counted as 6 points. We will have a look at: the defense against the hane from either side; how to deflect attacks from within; and the status of this group when White has a stone on either of the marked points. 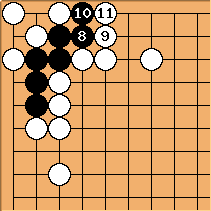 Against the hane from the short side, one should defend at the 1-2 point. Now there are two sure eyes at the circled points. 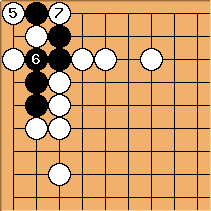 Answering at the 2-2 point leads to seki - or to ko if that is what Black really wants (see bent four in the corner). 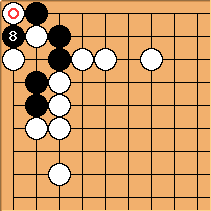 Against the hane from the long side, one should defend at the 2-2 point. Now there are two sure eyes at the circled points. Suppose the marked stone is added. Now is sente. 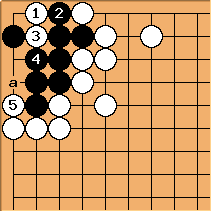 If was played at a then the addition of white stones at and b would not be sente at all. 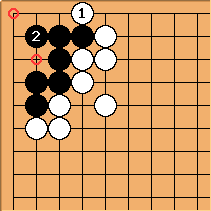 Black cannot play at a to secure the second eye. One eye to none, White wins the capturing race. Here a and b become miai. 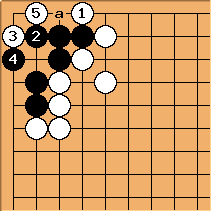 If white has the descent marked by the circle in the diagram, the L+2 group is no longer unconditionally alive. 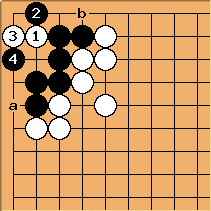 However, a white descent at the point marked by a square in the diagram does not affect the status of the group. 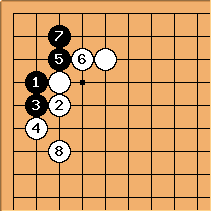 See L+2 group with descent. Black cannot play atari at a because of a shortage of liberties. In this shape, white can make ko fight with White a.
and is best response of black. This is the ko fight. Tapir: Forcing with , , before fighting the Ko, is a waste of internal ko threats. tapir: Please be so nice and simply correct, best with explanation, and move on next time. It is a wiki, after all. My thought process probably was: Black can fight a ko in the corner already after , threat, answer, recaptures the corner stone. 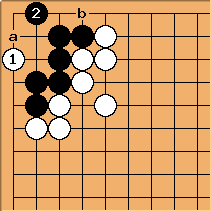 Above shape can be made by black's probing move - , in real games. Andy: Why make the / exchange? 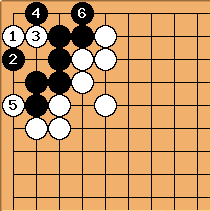 Wouldn't it be usual to play at with tripod or sabaki options instead? unkx80: This is common as well. 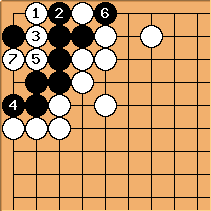 When to play and when to play directly at is difficult to answer. 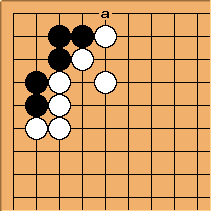 unkx80: In this result, Black gets slightly less and White has sente. 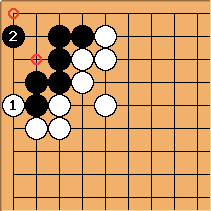 Which is better for Black?